The chairlift is a place of solitude for a ski racer. The whir and click of the cables breaks the silence as the chair courses its path over the cliff drops and up the steep pitch. To the right was Red Dog, a gnarly giant slalom hill at Squaw Valley in California packed with over 10 feet of snow, filled with sidehill and transitions that would rock World Cup skiers as they pointed their skis down the piste. Chairlifts are a time for deep thought. Thinking about the race line. Pondering your fate as a ski racer. It’s a place you can relax. Or it’s a place you can feel the pressure. This week, 110 American skiers and snowboarders will march into the stadium in Pyeongchang, South Korea, as Olympians. Each one of them shares similar dreams. Each of them has family in the stands or glued to NBC watching for their son or daughter. Each one of them has a different story. This is Megan McJames’ story. 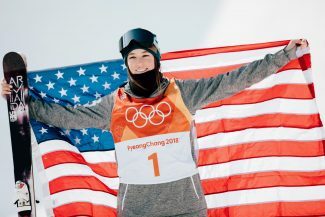 Growing up in Park City, McJames was a young teen when the Olympics came to town — giddy with excitement to see her heroes on the same hill where she trained. 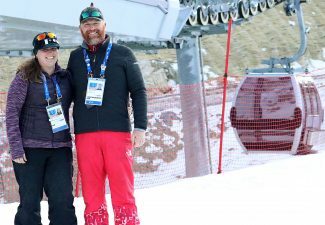 During the 2002 Games, she went to Snowbasin and watched Bode Miller win silver in the combined. She saw young Sarah Schleper of the U.S. Ski Team racing GS at Park City. She got to meet Kristina Koznick. “She told me my legs were skinny,” McJames recalled, laughing. They were heroes to her — inspiring her to reach up to the next level. McJames moved rapidly up the ranks, making the U.S. Ski Team at age 17. 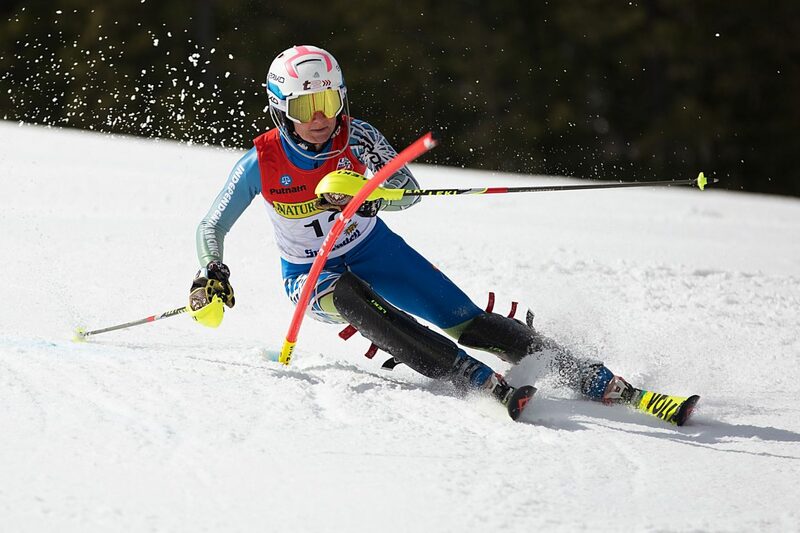 She scored points in just her third World Cup, a giant slalom in Cortina d’Ampezzo, Italy. Then there were the tough times — not getting picked up by the U.S. Ski Team and having to go it alone. As she rode the chairlift, she pondered her fate. To make her third Olympic Team, she needed to be on the World Cup year the next season. But she had no qualifying World Cup points. She had no NorAm title to grant her access. The upcoming second of GS was her last hope. 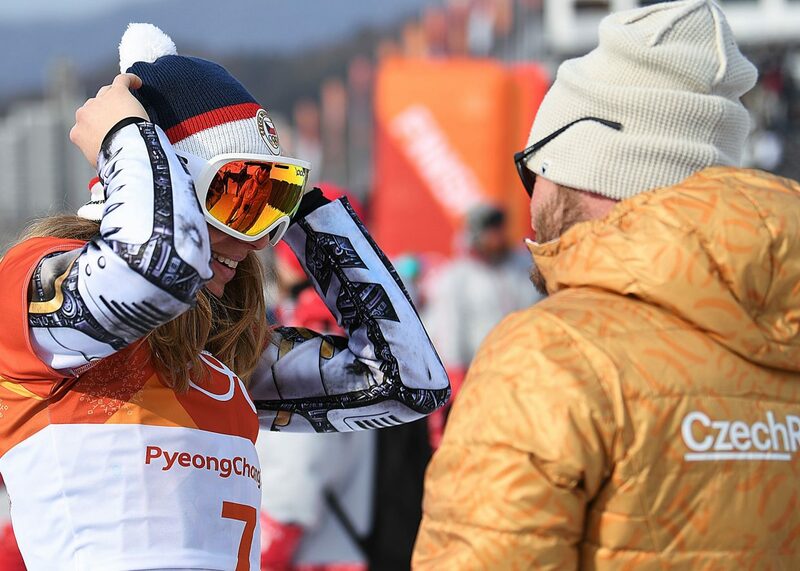 It could be her ticket to Pyeongchang, or it could be the last run of her career. But her Olympic story was not finished. “I knew I had the pressure,” she said. “I was psyched I was able to perform under that pressure. I was nervous but I accepted it. I had to switch my mindset — how was I going to test myself? If you are thinking about the consequences, you usually don’t perform. The nervousness of the chairlift ride quickly subsided as she slid into the gate. 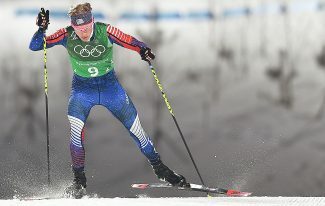 She placed her poles over the start wand and pushed out, arcing down the steeps, accelerating down the course. Crossing the finish line and into the arms of her father. 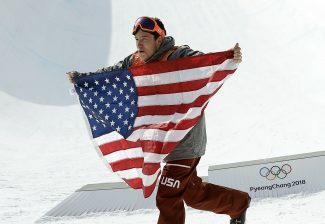 Friday at the Olympic Stadium in Pyeongchang, McJames will walk in as a three-time Olympian. Mission accomplished, dream fulfilled.